Tuning means to calibrate an instrument relative to a normalized frequency (usually concert pitch a' 1)). 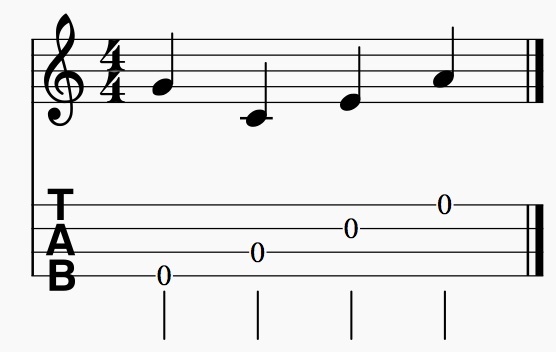 With a stringed instrument, pure tuning is possible, i.e., the distances between the pitches of the individual strings correspond to exact intervals (in the case of the Ukulele: minor thirds, as in c'–e'–g' or fourths: g'–c', e'–a'; ⇒see also chord). A tuning in which a simple chord sounds when all strings are played open (without being plucked) is called an open tuning. All common tunings for the ukulele are open tunings. This tuning (also called “Hawaiian”) was probably the historically oldest of the ukulele on Hawaii. In the interplay with jazz instruments, a tuning that was still half a tone higher, thus in Eb6, was also common. The G6 tuning is common for baritone ukuleles. 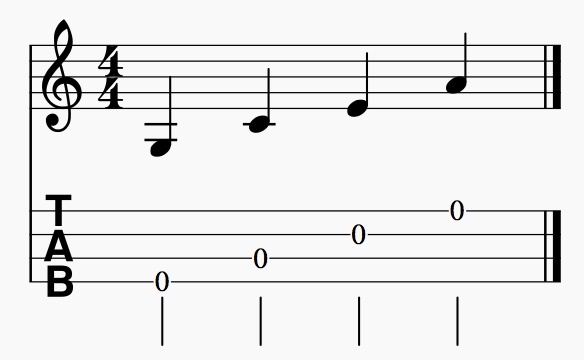 It corresponds to the common guitar tuning. C6 and D6 go back to the early days of the ukulele. The C6 tuning prevails in the U.S. and Japan, while Europe and Canada have long been dominated by the D6 tuning. bass ukuleles are tuned like double basses and bass guitars in the “orchestral tuning” EADG. This is a tuning in fourths. 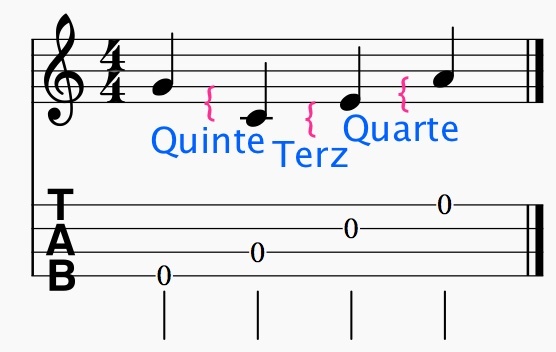 The tone in the 1st fret of the 1st string must match the 5th of the 2nd, the 9th of the 3rd, and the 2nd of the 4th string. 1) Normalized as 440 Hz. 2) In reentrant tuning in the same octave as the other notes (“high G”), else one octave lower (“low G”). 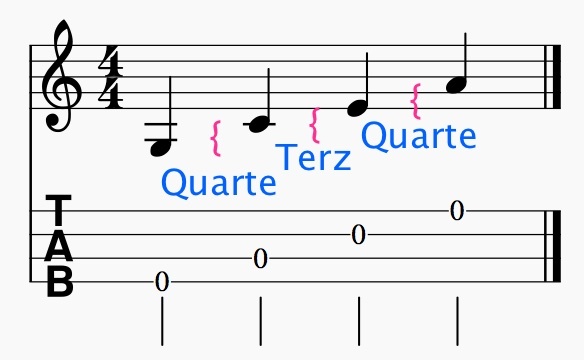 3) In reentrant tuning in the same octave as the other notes (“high G”), else one octave lower (“Canadian”, because it is thus taught in most Canadian schools).